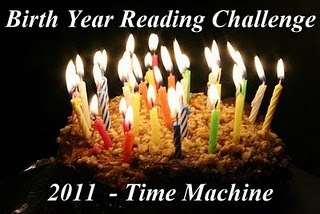 The Birth Year Reading Challenge is here again! Okay, it's been here for some time, but I didn't want to join because of all the books I have to read for school.. and stuff. But the steady diet of American literature needs some diversity, so there it is, and this year with a twist. It's actually a Birth Year +/- a Roll of a Dice Challenge and for me that means books from 1992. The rules are pretty much the same as last year and you can find them at Hotchpot Cafe, so I won't repeat them here. Welcome, Awaris! I'm glad you are joining us and you are still in plenty of time. Your books sound interesting. I love the title of The Crow Road! I read another novel by Jane Smiley (Horse Heaven) and she is quite a good writer, so I bet you will enjoy your choice.